Discussion in 'Music Corner' started by Whiskeytown86, Feb 23, 2019. Is that the number of the total One-Steps you have heard are to be pressed, the number of remaining One-Steps to be preordered or the number of RSD Test Pressings planned to be sold? That's - according to a Dutch site - the number of One Steps made. Think the 3000 was the first one step but since they have increased to I think 7500. Tjazz and SoundDoctor like this. That seems to be a significant number, and one that I strongly suspect will be available on Discogs for near the original retail for a while. It will be interesting to follow. Another question, weren't these songs released over the latest official 'bootleg' series - or are some unreleased? 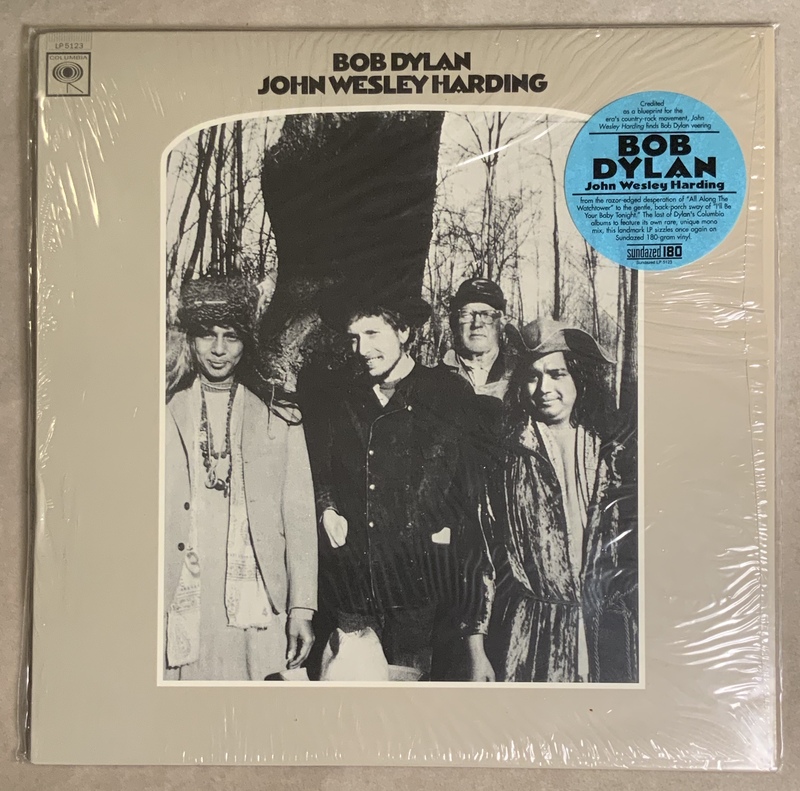 It’s my understanding that these versions are available on the recent Bootleg Series colllection, though Idiot Wind should have the infamous ‘spooky’ organ part. It may also be the original mix from the acetate? Jimmy B., Spadeygrove, andrewskyDE and 2 others like this. 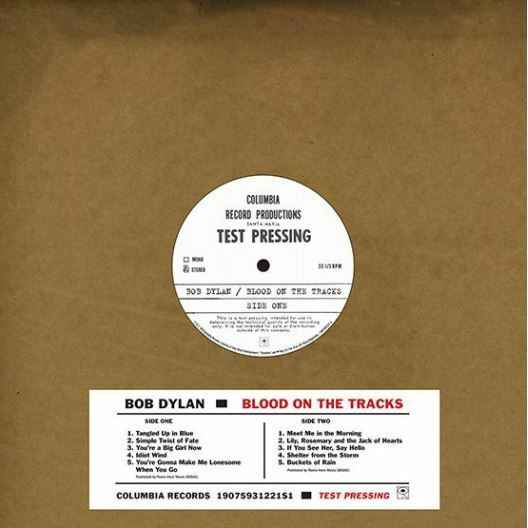 I thought the 2lp More Blood was simply to be the ‘ best ‘ tracks from the New York Sessions and was not intended to be an original test pressing facsimile. Do I have that wrong? Did the cd box set of More Blood provide all of these NY test pressing tracks ( spooky organ excepted) scattered throughout the box set? I’m just curious why they wouldn’t have released this record last year as part of the box set package unless they were intending to milk this for extra profit. thought the 2lp More Blood was simply to be the ‘ best ‘ tracks from the New York Sessions and was not intended to be an original test pressing facsimile. Do I have that wrong? Kind of. More of an ‘alternative version’. Not in the same mixes and as you stated not that particular mix of ‘Idiot Wind’ - that particular organ track being absent or substituted. To me the mix on the Test Pressing, while not that different in some places, is significant in others and the overall atmosphere of the album. To me this is most noticeable on ‘Tangled Up In Blue’, ‘You’re A Big Girl Now’ and ‘Idiot Wind’. I hope (or assume) this has been mastered from the already mixed composite reel used for the acetate rather than a contemporary fresh mix from the individual masters designed to approximate the sound of the test pressing mixes. crispi, Rockinrob, DeeThomaz and 1 other person like this. .....I hope (or assume) this has been mastered from the already mixed composite reel used for the acetate rather than a contemporary fresh mix from the individual masters designed to approximate the sound of the test pressing mixes. "Features unique mixes available for the first time ever"
Although, I suppose that could be a reference to the test pressing being not commercially available. Strange way to phrase it, however. Rockinrob and SoundDoctor like this. Is it just for curiosity/completist reasons that one would buy this test pressing, or do a lot of fans consider the NY versions of those songs to be superior to the Minnesota remakes? Having heard More Blood More Tracks, I'm of the mind that the Minnesota sessions really saved the album, taking it from a 7/10 to a 1o/10 experience. I like those last-minute cuts so much more than the NYC versions, it's not even close. I prefer the NYC sessions... they sound better too. The reverb on the original album kills the LP, but the Minnesota cuts more than the NY cuts. beatleroadie and Astralweeks like this. While I know that this is not a Blood On the Tracks One-Step thread, I do want to connect possible dots on the varying numbers mentioned here. The first One-Step made - Abraxas - was limited to 2,5oo. The following One-Steps are now 6,000 for I think the next Bill Evans and 7,500 for Blood On the Tracks. I was initially taken aback by your confidence in the 3,000 number. I read a post in the MFSL One-Step thread a few months ago that suggested/stated that MFSL is releasing these One-Steps internationally with either a different limited number starting again at zero, or assigning a portion of the 7,500 to the international market. It raises eyebrows to release the One-Step internationally with an entire new limit run count, but I suspect that is what MFSL is doing. Purchasing the One-Step releases is hard to justify outside of the US due to shipping expenses and domestic pre-ordering, so I would not be surprised if MFSL wasn't trying to find a way to make them more available and affordable for ya'll (that's Texas for 'you guys'). It wouldn't be any different than Record Store Day releases and their different US and UK limit numbers. This is the type of release that the original Record Store Day seemed to promise. I remember early releases like the fabulous Big Star Third test pressing box, or the mono Ram. The next thing I knew, it was all about colored vinyl, picture discs and the like. This is a fabulous release. An item that few people have even seen, much less heard (only on bootleg). I’m in. gearyoleary, ptijerm, Rockinrob and 7 others like this. I believe I have also been convinced. I just recently bought the More Blood More Tracks box, and the MFSL vinyl. Already had the two SACDs too. gearyoleary, fsutall, SoundDoctor and 1 other person like this. Been waiting for this for decades. Ever since I made a tape of the sequence using, ahem, "questionable sources", I have much preferred the test pressing over the released LP. I, too, hope that they use the original reel. I truly love the BASEMENT TAPES test pressing from a couple of years ago. ronbow, mgb70, Rockinrob and 1 other person like this. Vinyl_Blues, Sean Murdock and SoundDoctor like this. I am so excited for this! The ny version of blood may be my favorite dylan album! I’ve almost paid big money for the swingin’ pig bootleg, but it doesn’t include all the tracks either! Des mois avant la sortie de Blood On The Tracks de Bob Dylan au début de l’année 1975, un faible nombre de tirages « test pressing » circulait, entièrement constitué d’enregistrements provenant du A&R Recording Studios de New York. Dylan réenregistra finalement cinq de ses titres à Minneapolis pour les inclure à la version finale de l’album. Ces enregistrements originaux se sont vite retrouvés sur des versions bootlegs et l’histoire « alternative » de l’œuvre la plus acclamée de Dylan commença de cette manière…. Ce LP est une reproduction exacte du Test Pressing, contenant pour la première fois, des mix spécifiques provenant de la session studio de New York. Matisse, Percy Song, Critter and 1 other person like this. Taking a shot at translating...I've been practicing french on duolingo for awhile now, so here goes nothing! 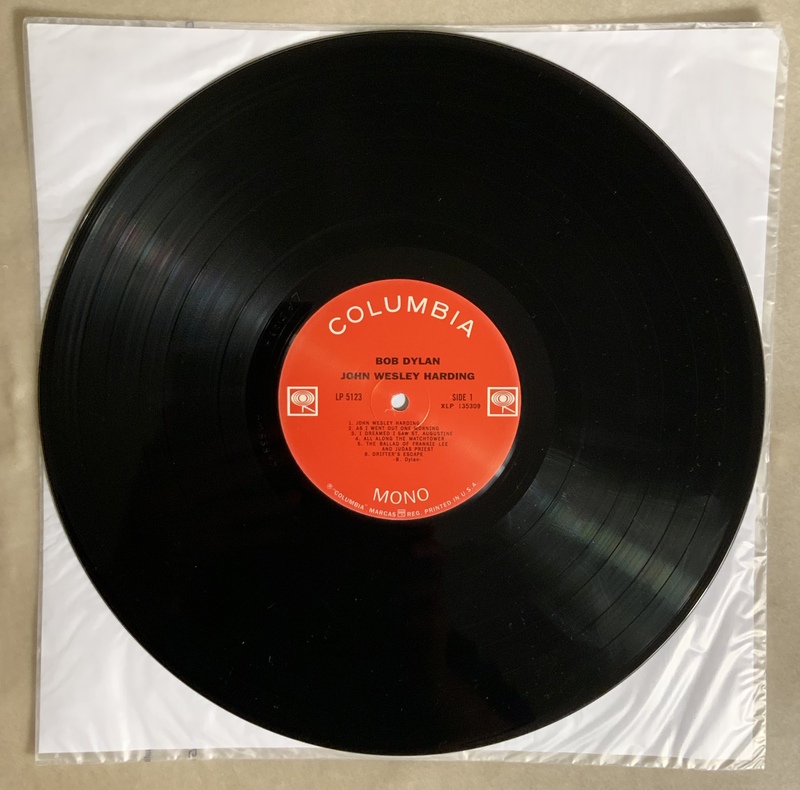 In the months before dylan's blood on the tracks made its debut in 1975, a small number of test pressings circulated consisting entirely of the sessions from A & R Recording studios in New York. Dylan rerecorded five of his tracks in Minneapolis for inclusion on the final album. These original versions soon found themselves on bootlegs and the history of Dylan's most acclaimed work began. This LP is an exact reproduction of this test pressing, containing for the first time the original mixes from the sessions in New York. crispi, dee, Matisse and 4 others like this. That practice is clearly paying off. Thanks! Just call Music Direct and they will take your preorder over the phone. TALK to a PERSON? It never would have occurred to me. THIS is the best news since Big Blue. Very excited!! .. I'll need two copies, one to keep sealed. I have an extra 2005 ''JWH'' Columbia-Sundazed Records MONO 180gm LP. If you need a copy of this album, it's beautiful in shrink with the hype sticker, vinyl as new. Give away contest .. "like" the post and your entered. Good Luck! somebodywhocares, Gordon Lynne, krisjay and 67 others like this. I've gone all faint. I may need to lie down for a while. Yankeefan01, andrewskyDE, Astralweeks and 14 others like this.